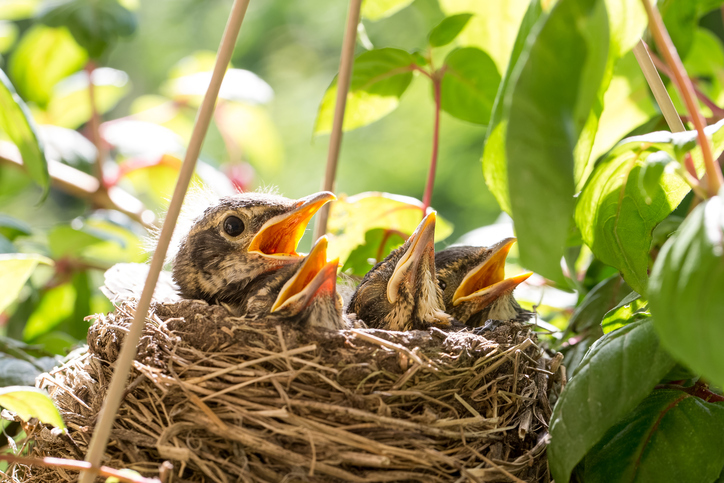 A nest is a structure made of twigs, grass and mud, prepared by animals to hold eggs and raise young. The hen sat in the nest until the eggs hatched. There is a hornet's nest in the tree in the backyard. A nest is also a comfortable place to retreat. After a hard day of work, Rachel goes home to her nest and reads mysteries. Every spring the geese nest around the lake. The bowls nest for easy storage. A cuckoo is a bird, but in American slang, cuckoo means ‘crazy.’ So, it follows that a cuckoo’s nest is a mental institution. The classic movie, One Flew over the Cuckoo’s Nest, is about a criminal, who is not mentally ill, but chooses to serve his sentence in a mental institution because he thinks it will be easier than serving in prison. What could go wrong? Watch the trailer. There are other meanings of nest.